A seemingly normal PDF Phishing campaign leads to a very large victim credential server. WARNING: DO NOT ATTEMPT TO USE ANY URLS, CREDENTIALS, OR TECHNIQUES IN THIS ANALYSIS REPORT. THE SERVER IN QUESTION HAS BEEN REPORTED TO THE FBI AND OTHER AGENCIES. IT IS OUR HOPE THAT THE SERVER CAN BE TAKEN OFFLINE AND VICTIM NOTIFICATION CAN TAKE PLACE. Since the malware authors were kind enough to provide their credentials, we can fire up our VPN and log in to their server to poke around and see what else they may be hosting. The hosted files and directories are dated fairly recently and consist mainly of ZIPs. 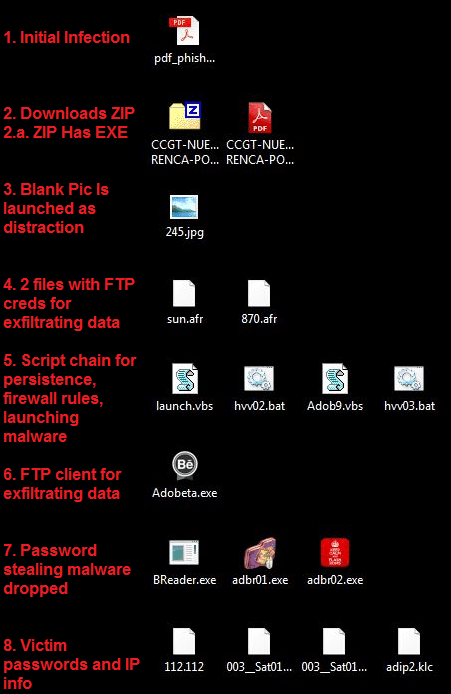 Downloading the ZIPs reveal Executables with PDF logos and "PDF.exe" extensions. Executing the extracted EXE unleashes the large infection chain mentioned at the head of the article dumping out 4 executables, 3-4 scripts, 2 FTP credential files, 1 template, and 1 blank picture . This chain begins by launching one of two batch files "abb1.bat" or "havv02.bat" that will then launch "Adob9.vbs"
Once we finally reach "hvv03.bat", this is where the main functionality begins. The script will launch an FTP client that it dropped named "Adobeta.exe" and issue commands for it to contact the exfiltration server. "hvv03.bat" also establishes persistence via the CurrentVersion/Run key. These credentials are also stored on the local machine in the same directory as all the dropped files: C:\user\current\appdata\local\4Adobe\4low . This directory may change per infection. The programs responsible for the credential stealing and exfiltration are "Breader.exe", "adbr01.exe", and "adbr02.exe" and all are UPX packed. These seem to be individually targeted for specific browsers (Internet Explorer, Chrome, Firefox) although this is just an assumption as analysis was not performed on these files. Due to the high rate of detection for the EXE's, this article focused on dissecting the large infection chain and uncovering the victim data repository rather than reversing the EXEs. There are many VirusTotal results for all stages of this file. Your home antivirus solution should detect the majority of this credential stealer and its variants. Network traffic consists of standard FTP communications. If your email client or server offers attachment blocking by extension, you may want to block emails sent with .EXE, *.BAT, *.CMD, *.SCR and *.JS. files attached. 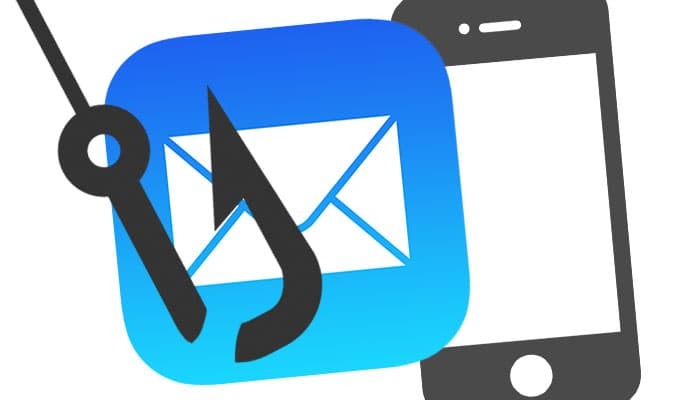 The focus of this article was on the large infection chain stemming from the initial PDF Phishing file. We have seen a very large uptick in Phishing attempts with very similar text to "your secure document can't be viewed, please click the link" that lead to generic trojans, ransomware, or credential stealing software like this one. Be careful out there.